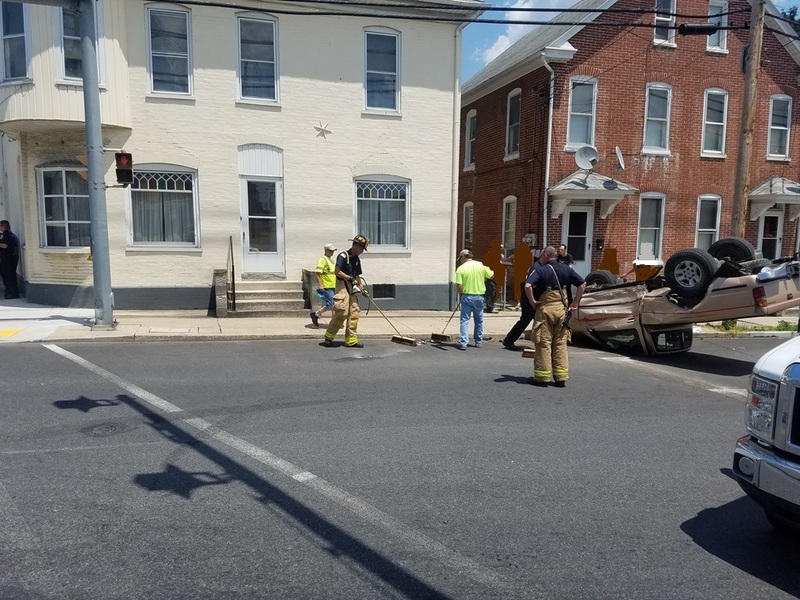 CFD was alerted just before 12:30 p.m. to the intersection of North Franklin Street and West King Street for an auto accident with a vehicle rolled over. Chief 1 arrived to find two vehicles involved, one rolled over, with an occupant lying on the outside of the vehicle. 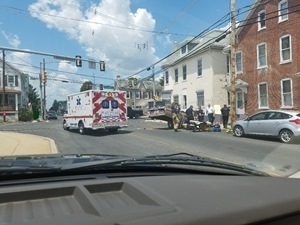 Engine 1-2 arrived and assisted with patient care, and ALS requested air medical. 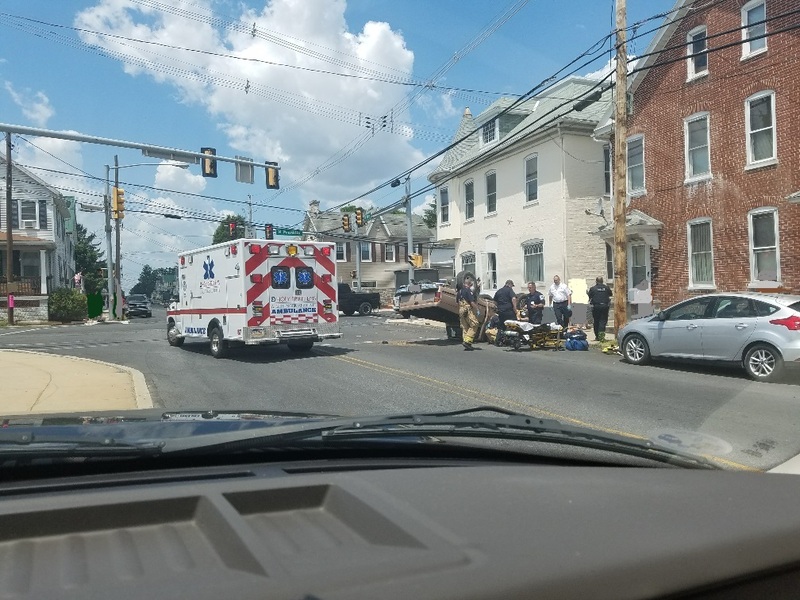 Patient was transported to the Chambersburg Hospital and then flown to a trauma center. CFD remained on scene for approximately one hour.